WATCH: Healthy Tips To Have A Whiter Skin In Just 7 Days! Got tired of expensive beauty products that promise to make your skin whiter and beautiful? Many people are dreaming of a flawless and healthy skin that will spend more time and effort going to a spa, Derm clinic and many other skin clinics that may help them to develop a white and smooth skin. But don't you know that you can have a whiter skin without spending too much money? Apple helps to enhance skin color and elasticity due to its natural properties called alpha hydroxy acids (AHA). Peel the apple and slice it. Soak in milk for 20 minutes. Blend it to create a creamy paste. Put the paste in the freezer and chill for 10 minutes. 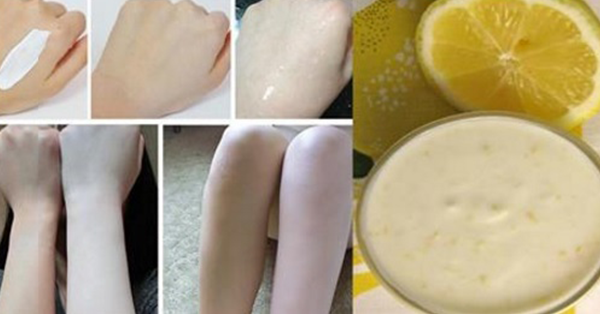 After that, add 1 teaspoon of lemon juice and apply to the part of your body that you want to get whiter. Leave it for 15 minutes and rinse with water and massage it with ice cubes. Do this regularly for best results. Orange is rich in vitamin C and A that make your skin fair and healthy. This minimizes spots, pigmentation and provides you with a naturally fair complexion. Apply 3 tablespoons of orange juice to the skin using a clean cloth. Rinse with cold water after 5 to 7 minutes. Repeat it for 7 days and you will see the development of your skin. Tomato juice is a good skin cleanser as it helps to fix the skin impurities, at the same time protecting it from harmful UV rays. It reduces melanin production and also gives you an oil-free look. Mash a half tomato, then mix it with 1 teaspoon baking soda and honey. Mix the ingredients well and apply it gently all over your face and neck. Rinse with water after 5 minutes. Cucumber and papaya properties are very good facial cream. It is a pack of enzymes, vitamins and antioxidants, these boost collagen production in the skin and will give you a glowing radiant skin. Use equal parts of cucumber and papaya. Slice it and blend it until it becomes a paste. Mix it with fresh milk, cream and apply it to your face and neck. After 20 minutes, rinse with water. It is a perfect skin whitening home remedy. It enhances blood circulation, which helps your skin becomes whiter and fresh. A half cup of water, dissolve 2 tablespoons of aloe Vera gel and a half squeezed lemon juice. Place in an ice cube tray and freeze in the fridge overnight. Massage the lemon and aloe Vera ice cubes on the face for 2 minutes every morning. Do it everyday for best results. Hope these simple home remedies will make your dream come true. Having a white, beautiful, radiant skin.